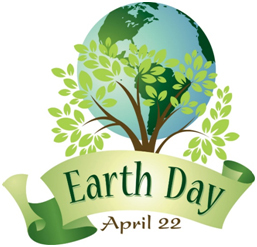 First, happy belated Earth Day! 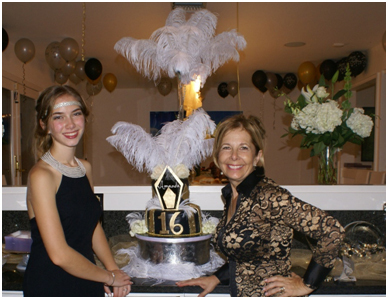 Yes, Saturday, April 22nd was Earth Day – it was also the day we celebrated my daughter, Amanda’s, Sweet 16 Birthday Party. 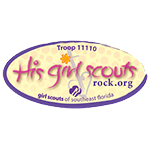 Being a Girl Scout Leader and a former Girl Scout myself, I work hard at ‘making the world a better place and using resources wisely,’ (part of our Girl Scout Promise). The interesting fact is that both Millennials and Baby Boomers both seem to share a joint concern for our environment and using energy wisely. Recently, I had the pleasure of meeting a great guy in one of my networking groups that markets solar panels – something that is pretty popular in California (I am a Cali girl) and something that I hadn’t seen much of in South Florida. Given the high cost of electricity, I invited him over and was so impressed by his presentation, but more importantly, how the program can affect our environment AND our bottom line. What do Solar Panels Cost in Florida? Though Florida customers can expect to see prices continue to drop over the next five years, current solar prices are among the lowest in the U.S. market. 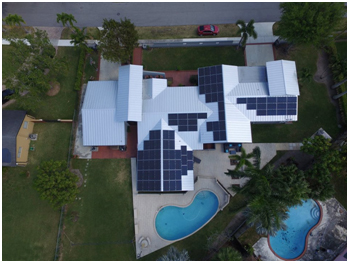 The average solar panel system size in the U.S. is 5 kilowatts, so to get a range for the average price of solar in Florida we examined average prices for 5kW systems after tax rebates. The current price range is between $8,505 – $11,305 in Florida, far below the national average for cost of solar at $12,500. Get a preview of your savings! Use this site to PV Watts estimate your savings with solar electricity. Net metering applies to homeowners connected to the grid who have solar panels installed. It allows those homeowners to receive credits on their electric bills for surplus energy produced by their solar system. In a sense, net metering allows you to use the grid to store your energy for free. This is what makes solar a truly efficient and pragmatic option, because you can then cover up to 100 percent of your energy needs over the course of a year. Without net metering, most homeowners have to opt for another storage option like a solar battery. Furthermore, the pressure on Florida homeowners to meet 100 percent of energy demand from solar is much lower than in many other states in the U.S. because Florida’s electricity prices are fairly low. According to the U.S. Energy Information Association (EIA), the average cost of energy in Florida actually decreased year over year in 2016. Now at 11.47 cents per kilowatt-hour (a common metric used to compare energy prices), the cost of energy in Florida is significantly below the national average of 12.9 cents per kilowatt-hour. Low electricity prices can actually make solar more appealing for Florida solar homeowners who have access to net metering, because there is less pressure to perfectly size your solar system. If a resident gets a system that is on the smaller side and only ends up covering 75 percent of his or her energy needs, his or her new bill payment will still be very minimal in winter months when sun is less prevalent and the payback period might be as quick as five years for the solar panels on their roof. This was true in our case – we sized our project at about 90 percent of our use needs.